Registration Price: $20 for members and $25 for non-members. Note the price will increase to $30 for both members and non-members at COB Thursday, February 14th. Silas Nichols, the Principal Geotechnical Engineer for the Federal Highway Administration’s Office of Infrastructure, presented an engaging discussion at the Hofheimer venue on February 19. Managing Performance and Service Life for Geotechnical Infrastructure was the topic and Silas laid out a daunting problem with regards to monitoring the condition of geotechnical features. Due to accessibility and that many of the features are buried make it difficult to inspect and asses these structures. In addition, many geotechnical assets such as walls and slopes are not catalogued in an inventory, making it challenging to conduct assessments and determine changes to these structures/conditions over time. Silas did touch on all of the existing projects the FHWA is involved with that will help to develop metrics to understand the need to monitor these assets and investigate life cycle long-term impacts earlier on in design. Hopefully as new technology is developed, additional monitoring of existing geotechnical conditions and future contingencies for inspection will become more mainstream. Thank you again to Silas for making the trip down from DC to present and shed light on this issue. Silas Nichols is the Principal Geotechnical Engineer for the Federal Highway Administration’s Office of Infrastructure. Silas is responsible for providing leadership and direction for the FHWA National Geotechnical Team through policy development, technical guidance development, and coordination with industry and professional groups. Silas has been with the FHWA for 17 years both in Headquarters and with the Resource Center. Silas has a Bachelor’s Degree in Civil Engineering from Syracuse University, and a Master’s Degree in Geotechnical Engineering from Tuft’s University. 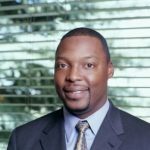 Prior to employment with the FHWA, Silas served more than 10 years in private consulting in the Northeastern and Mid-Atlantic United States.